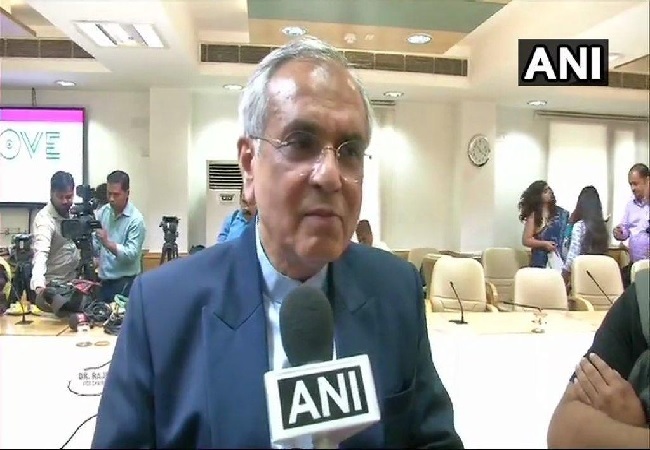 New Delhi [India], Apr 3 (ANI): Defending his comments criticizing Congress’ Nyunatam Aay Yojana (NYAY) scheme, NITI Aayog Vice-Chairman Rajiv Kumar on Wednesday said that he made the comment “as an economist and not as a member of Niti Aayog”. Talking to ANI, he informed that he has filed response to the Election Commission over his comments on the Minimum Income Guarantee scheme flagged by the Congress. Kumar in his response to the Election Commission, said he spoke in his “personal capacity” as an economist and his comments “should not be interpreted” as Aayog’s stand on the Congress’ scheme. The NITI Aayog VC also cited the example of Montek Singh Ahluwalia who, as the deputy chairman of the Planning Commission (the predecessor of the NITI Aayog), had commented on the 'Gujarat Model' in April 2014 when the EC's Model Code of Conduct was in force for Lok Sabha elections. The Model Code of Conduct (MCC) prohibits public servants from furthering the interests of any political party during election time. Following Kumar’s criticism of NYA, he was issued a notice by the Election commission. Talking to ANI here, Kumar said, "He made the comments as an economist and not as Niti Aayog VC." On March 25, the day Congress chief Rahul Gandhi announced the scheme, Kumar took to Twitter and slammed the Grand Old Party of India for making false promises to win elections. Rahul Gandhi had announced that 20 per cent families belonging to the poorest category will be given Rs 72,000 each annually as minimum income if Congress comes to power.